Do I Have To Quite My Job Before Filing For Bankruptcy? Not at all. Being gainfully employed and earning a regular salary is not a hindrance to filing a Missouri bankruptcy. Indeed, most people have a job when they file (and in some cases, depending on which chapter of bankruptcy you file, it is quite necessary that you have a job). To begin with, when you file for bankruptcy, the court requires that you disclose all sources of household income. So if you are married, you will have to include you and your spouses’ last six months’ worth of paystubs or income documentation (even if you are filing individually without your spouse). And if you have received income from other outside sources (such as social security, unemployment benefits, food stamps, rental income, retirement, or business income), those amounts will also need to be disclosed. This may sound like a methodical process (and it is), but it is required information that the court will need to see. Why? Because your household income will largely determine which chapter of bankruptcy you will be eligible to file for. For instance, the government has determined that the average (or median) income for a household of four is: $69,832. If you are a household of hour, and the total household income is less than this amount, you are qualified for a St. Louis Chapter 7 bankruptcy (assuming you have not filed a Chapter 7 within the last eight years). There are, however, scenarios in which having a job and earning income is essential for a successful bankruptcy. In the event that you have to file a St. Louis Chapter 13 bankruptcy, the court will require that you make a monthly payment to the Trustee (who will then disperse the payment to the creditors that are to be paid back). But if you do not have any sources of income, the possibility of making the required monthly payment is going to be quite difficult (if not impossible). Filing for bankruptcy does entail a great many twists and turns, but this path is made much smoother if you hire the right lawyer. 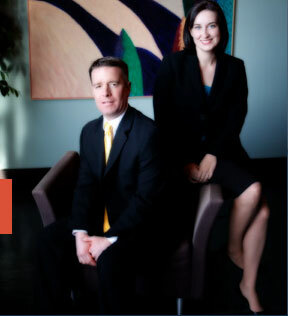 The St. Louis bankruptcy attorneys at Brinkman & Alter, LLC have been helping people through this process for over ten years. Our staff is prepared to guide you toward the road to financial stability, and get you the fresh start / clean slate that you deserve.